33 hydro-electric turbines with a generating capacity of 4,100MW. The Scheme consists of two major developments: the northern Snowy-Tumut Development and the southern Snowy-Murray Development. The Snowy-Murray Development consists of four power stations with 17 generating units and one pumping station. Water in the upper Snowy River is diverted at Guthega Dam through Guthega Power Station and back into Island Bend Dam. Inflows into the relatively small Guthega Pondage are seasonal and spills of the reservoir are common, particularly during the spring snowmelt period. During times of high inflows, water flowing into Island Bend Pondage is diverted to Lake Eucumbene for storage and then transferred to the River Murray catchment at a later time. At times of low inflows, water from Island Bend Pondage is diverted to Geehi Reservoir through a trans-mountain tunnel, together with water transferred back from Lake Eucumbene. The Jindabyne Pumping Station pumps water from Lake Jindabyne (normally at off peak times such as nights and on weekends) into Geehi Reservoir. 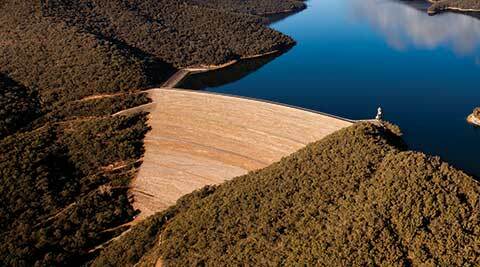 Water from Lake Jindabyne cannot be pumped back to Lake Eucumbene or to Island Bend Dam. The Jindabyne Mini-hydro Power Station allows Snowy Hydro to recover a small amount of electricity from some of the environmental releases made from Jindabyne Dam into the Snowy River. From Geehi Reservoir, with additional water from the Geehi River, the water from Island Bend and Eucumbene passes through Murray 1 and Murray 2 power stations. Khancoban Dam regulates water released from Murray 2 Power Station down the Swampy Plains River which is a tributary of the upper River Murray. 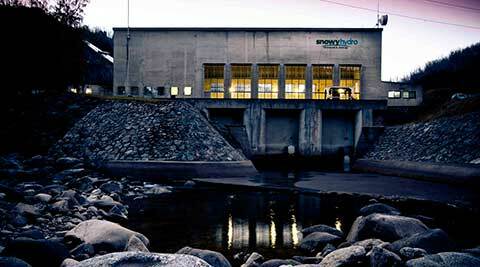 The Snowy-Tumut Development consists of five power stations and 16 generating units. It collects the headwaters of the upper Murrumbidgee, Tooma and Eucumbene Rivers. 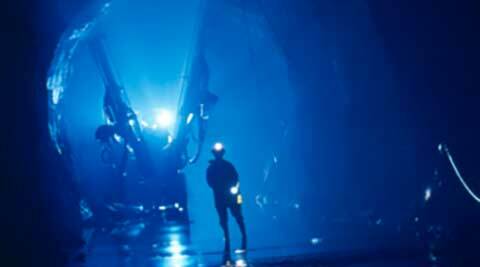 Those waters are diverted through trans-mountain tunnels to Tumut Pond Dam where they join the waters of the Tumut River and flow through Tumut 1 and Tumut 2 underground power stations and then into Talbingo Reservoir. Water stored in Talbingo Reservoir then passes through the Tumut 3 Power Station and into Jounama Pondage. Three of the six generating units at Tumut 3 Power Station also have large pumps that can be used to pump water from Jounama Pondage back up into Talbingo Reservoir, thereby ‘recycling’ water. Water cannot be pumped any further uphill than Talbingo Reservoir. Water is released from Jounama Dam into Blowering Reservoir either through the Jounama Small Hydro Power Station or through the radial release gates at Jounama Dam. Blowering Power Station is located on Blowering Dam and is leased from NSW State Water. Water releases from Blowering Dam are controlled by NSW State Water to provide for downstream town water supply, extractive and environmental use requirements. Blowering Power Station is therefore a ‘run of river’ plant that operates as NSW State Water releases water from Blowering Dam into the Tumut River, which joins the Murrumbidgee River near Gundagai.